Like many artists of his generation Ellison utilized a multidisciplinary approach and drew on music, photography and the fine arts as sources of inspiration and cultural pride. He saw music as a key to individual expression and the universality of experience and, in his own work, he pointed out the influence and impact of everything from Beethoven to Bessie Smith. By examining the achievements of many jazz and blues musicians in the context of the Western canon, he broadened the listening audience for these performers, and contributed to their stature as artists of real and lasting significance. In the summer of 2006, I was given exclusive access to Ellison’s Riverside Drive apartment with the express purpose of finding a home for his record collection. (I’m happy to say it now resides in the National Jazz Museum in Harlem). Ellison was a known audiophile. Based on its contents, his collection appears to have been amassed between the earliest 1930s and the late 1980s. That day, I found many of the expected items, including the music that Ellison wrote about so passionately – that of Charlie Christian, Mahalia Jackson and cante flamenco, among others. But there were also many revelations: a truly varied range of 17th to 20th century classical, pop items, spoken word, and much more. Ellison wrote about the emotions that music engendered in him as a young man, recalling 'certain needs for other forms of transcendence and identification which I could only associate with classical music' – here citing Schumann, among others. Those feelings and associations were later folded into his writing, including what many have called the preeminent American novel, Invisible Man. 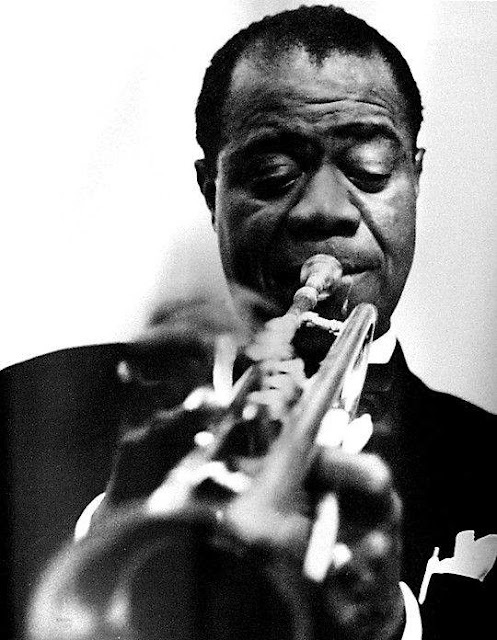 Indeed, Louis Armstrong’s 1929 recording of the Waller-Razaf-Brooks tune '(What Did I Do to Be So) Black and Blue' is an indelible feature of that book’s prologue. Ellison was to champion Armstrong throughout his literary career, even when it became unpopular to do so. Much has been written about Ellison and music, and there is too little space here to review this fascinating subject in detail. To the extent that any person’s tastes determine his or her actual outlook, and given that we all have "artifacts" in our homes, sometimes arbitrarily acquired, the Ellison sound collection is a necessarily subjective take on the man and his inner world. As a cultured member of an intellectual elite at the peak of their influence in the 1960s, Ellison obviously took an interest in 'deep' music. 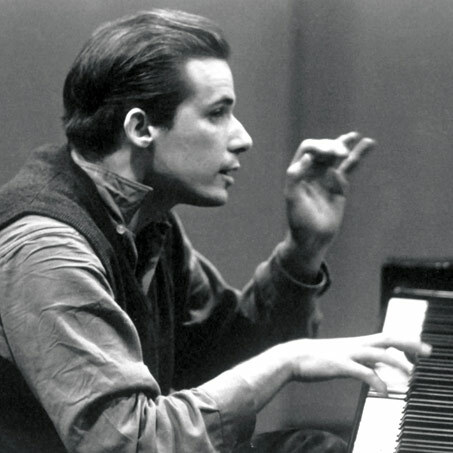 His collection sports the popular albums of Glenn Gould’s Bach performances, and these and other selections indicate that he was influenced by the Baroque fad that started during that decade. A predominance of Ellington indicates a true reverence for the maestro. Almost a quarter of all the recordings in the collection are by the Ellington band, or some subset thereof (Johnny Hodges, Rex Stewart, et al). 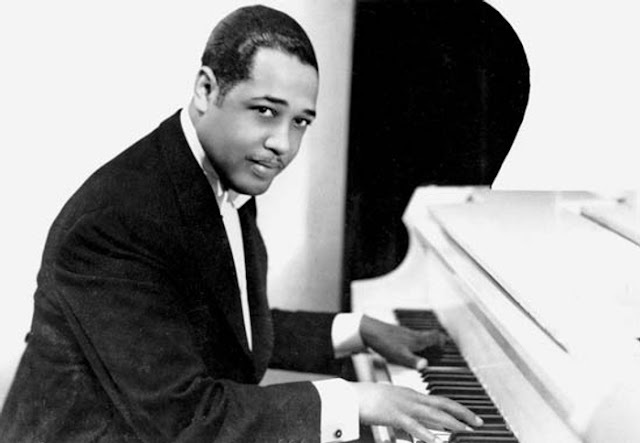 Original 78 recordings of several Ellington classics from the early 1940’s were all well played, suggesting that the writer’s fascination with Ellington may have peaked during the Blanton-Webster period of 1940 to 1942. Ellison had an uneasy relationship with modern jazz, but bop records included several by Bud Powell and multiple discs by Milt Jackson, Thelonious Monk, and James Moody. 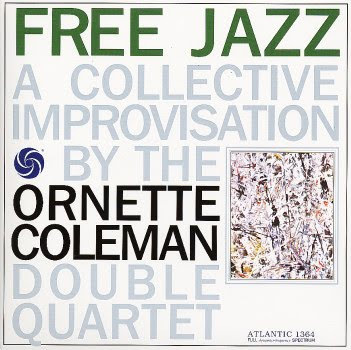 Ornette Coleman’s Free Jazz: A Collective Improvisation and The Shape of Jazz to Come were on his list. These records were controversial in the late 1950s – and topical. There were only about a dozen Louis Armstrong items in the bunch, suggesting that privately, despite his public stance, the novelist’s tastes may have begun to morph with the times; black Americans did not embrace Armstrong in the 1950s and 1960s. 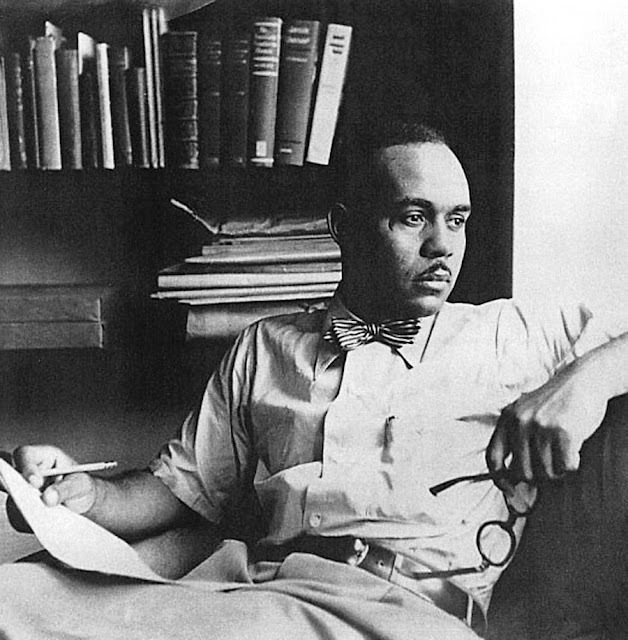 What do these artifacts say about Ralph Ellison? In the most general sense, I believe they contributed to his distinctly pluralistic viewpoint, and were behind his marked insistence that, apart from our race, we each of us must identify as Americans first and foremost. Copyright, 2010, by Todd Bryant Weeks. All Rights reserved. To reprint this article, contact the author at tweeks@local802afm.org or toddbryantweeks@gmail.com.